When the lovely Lucy picked out a dress from the Scarlett & Jo range for me to review on here she couldn't have picked a better choice. This is exactly the type of dress that I would have picked out for myself as well. I am such a sucker for peter pan collars. 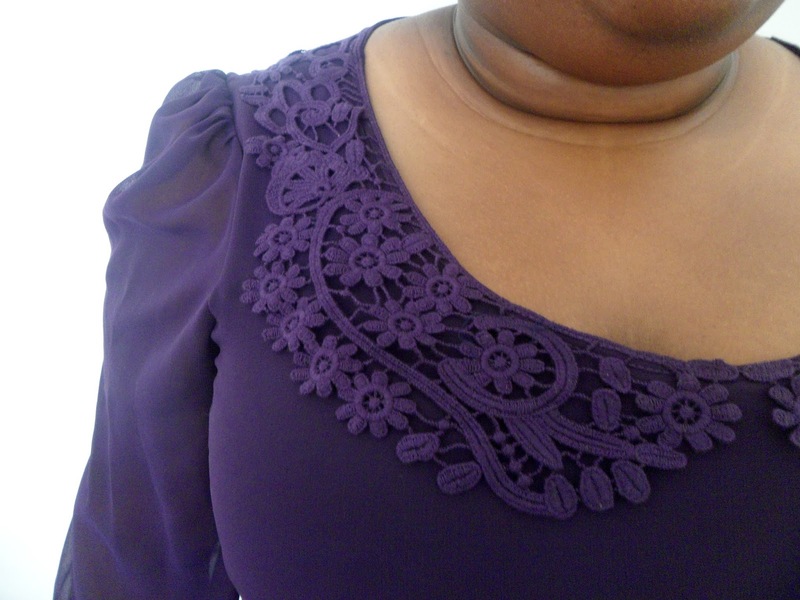 I love how it isn't just your typical style collar - the crochet detailing on it makes it so unique and sets it apart from many other dresses out there. 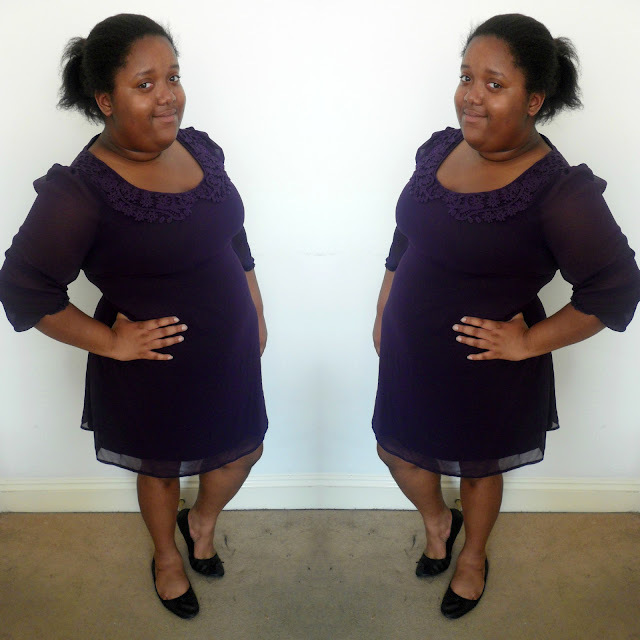 Purple is also one of my favourite colours and my love for it definitely gets a bit bigger around A/W as I think it is the perfect colour for dresses for special occasions such as Christmas parties or even Christmas day. I love how it looks so nice and casual paired with my flats for a nice little daytime look and I can easily make it look dressy for those special occasions with a pair of boots or heels. As I am only 5'2 I sometimes don't get along that well with some dresses as they can be too long for my short legs but I think this is perfect just going above the knees. The three-quarter length sleeves are also another favourite thing of mine as I really don't like my shoulders and a lot of dresses I like don't have sleeves on so I cover myself up with a cardigan but I love how the sleeves are short and sheer. I decided just to keep it casual the way I styled this outfit. Next time I'll most probably throw in a pair of studs and a watch too. If you didn't already know you can shop the Scarlett & Jo range over at Evans. Whether you're looking for something casual or dressy there's so many lovely pieces for you to choose from. What kind of dresses do you like to wear in A/W? Song In Title: Taylor Swift - Forever And Always. i love the dress, the collar is so pretty! Oooh, this colour is perfect on you. I do love Cadbury purple. ;) The sleeves and neck details are lovely. Love the dress! Great choice of outfit indeed!